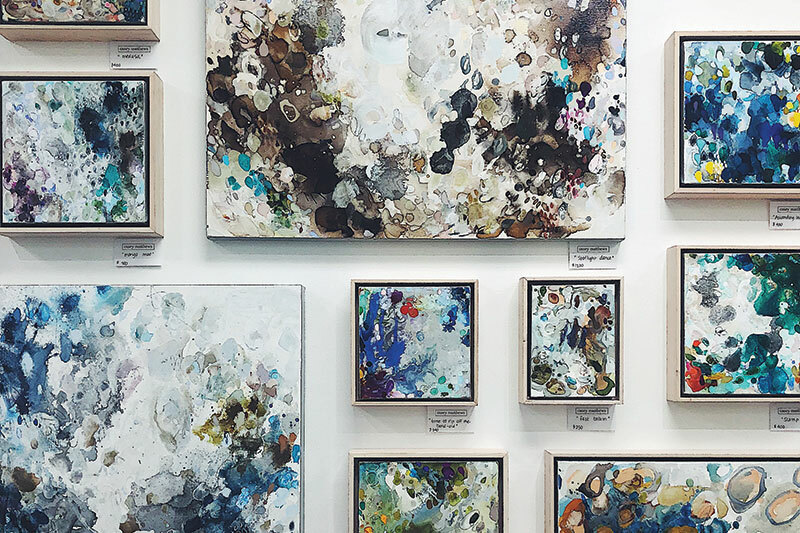 Mandy Kellogg Rye is a retail shop owner, e-commerce entrepreneur, digital influencer and founder of Waiting On Martha, Inc. WOM boasts a lifestyle blog, e-commerce channel, and brick-and-mortar home and gift shop in Atlanta. Mandy’s take on joyful living—from recipes and entertaining to home decorating, personal style, and travel—resonates deeply with her readers and customers. With all of the moving parts WOM brings, Mandy sometimes needs to sneak away for a few days. The beaches of Amelia Island are definitely considered my happy place. I love getting up early and walking the shores to search for sea glass and shells to add to my collection. Amelia Island is one of my absolute favorite places to escape. It’s close enough to Atlanta that we can drive, but it feels a million miles away from my daily reality. It’s simply perfect. 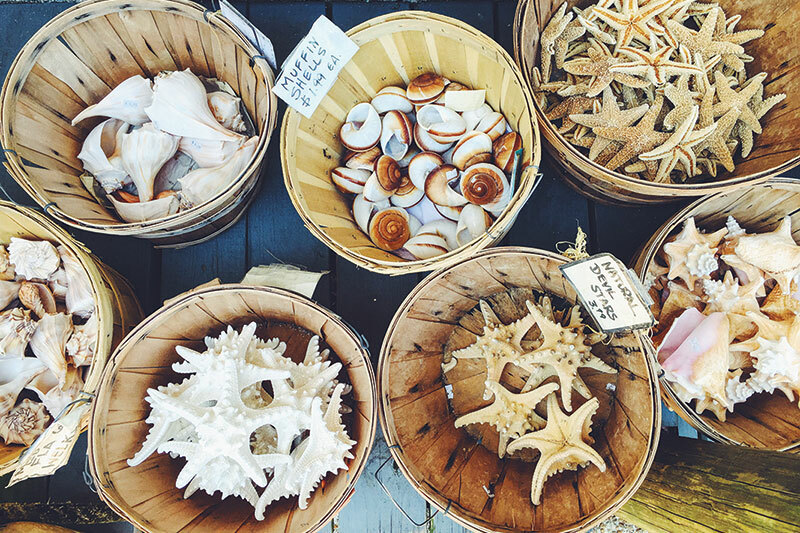 There’s just something about collecting beach treasures during my trips, and treasures abound by the bucketful in the historic district of downtown Fernandina. A few years ago, when I first stepped foot onto the sandy shores of Amelia Island, I knew this would quickly become a place I visit to rest, refuel, and smell that salty ocean air. While I don’t personally golf, my husband does, so Addison, my cavalier King Charles dog, and I typically cart around with him for a few holes at the Oak Marsh Golf Course at the Omni. 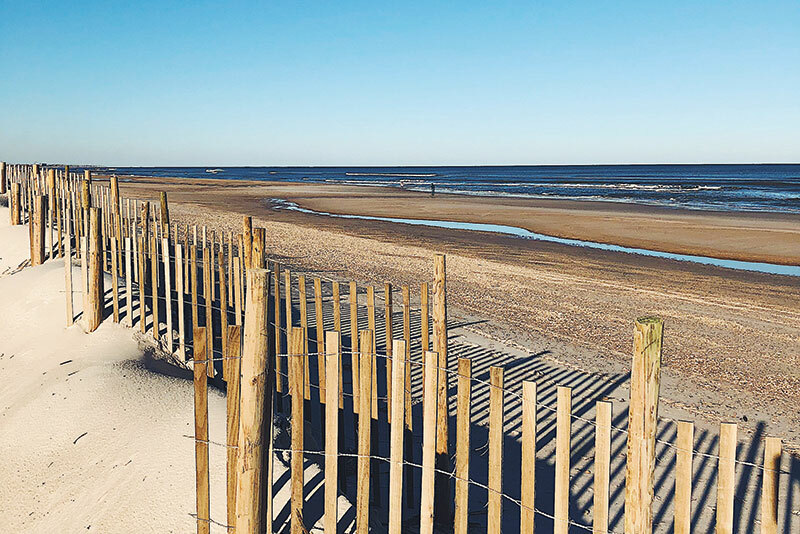 Stretching approximately 13 miles, Amelia Island is part of the Sea Island’s chain of barrier islands just off Florida’s Atlantic coast. 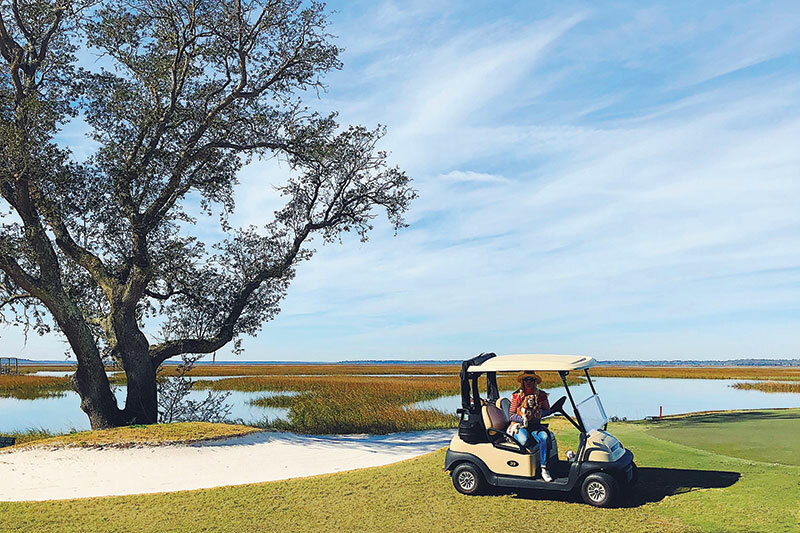 Amelia Island’s history and vibe is rich in Spanish, French, and British influences, which you can feel everywhere from the island’s Spanish moss trees to its architecture. There’s no better place to stay while on Amelia Island than the Omni Amelia Island Plantation. Located right on the ocean and full of great food and plenty to do for both adults and kids alike, it’s my go-to. Full of some of the best resorts, golf courses, restaurants, and sandy dunes, Amelia Island has quickly become my sanctuary. For this particular trip, I found solace at one of my favorite resorts: the Omni Amelia Island Plantation Resort. 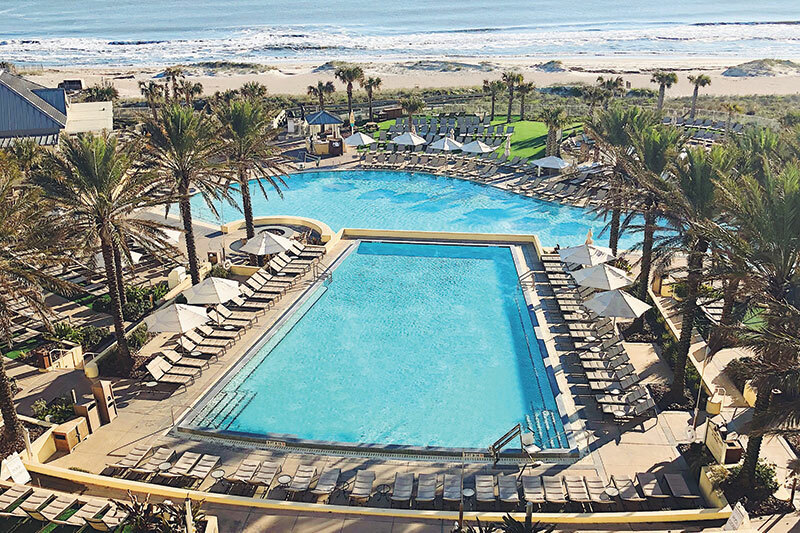 Situated upon 1,350 acres with 3.5 miles of private beach, the Omni boasts the largest pool-scape in North Florida. One of my favorite features: every room is oceanfront complete with a large balcony, which is where you’ll find me every morning watching the sunrise and sipping on coffee. One of my favorite abstract artists, Casey Matthews, has an amazing art studio in Fernadina Beach. Once I’m fully caffeinated, my days on Amelia Island typically have me either stretched out on the sand, book in hand, or popping in and out of the shops in downtown Fernandina Beach. 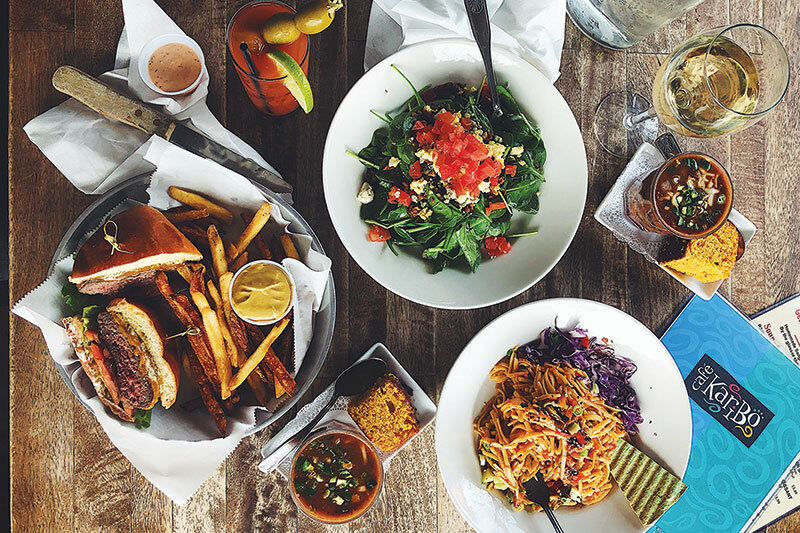 Amelia Island’s city, Fernandina Beach, is a small community full of diverse restaurants, great shops, and that “welcome to the island” sentiment that makes you feel right at home. I love walking the historic downtown in search of beach memorabilia, and I always make a point of stopping into Casey Matthews‘ art studio, Lindy’s Jewelry, and Hudson & Perry. Whenever I’m on Amelia Island, one of my first stops is Café Karibo. This bistro has a relaxed environment with a menu that will make everyone happy. Plus, they have kombucha on tap! And there’s the food, of course. 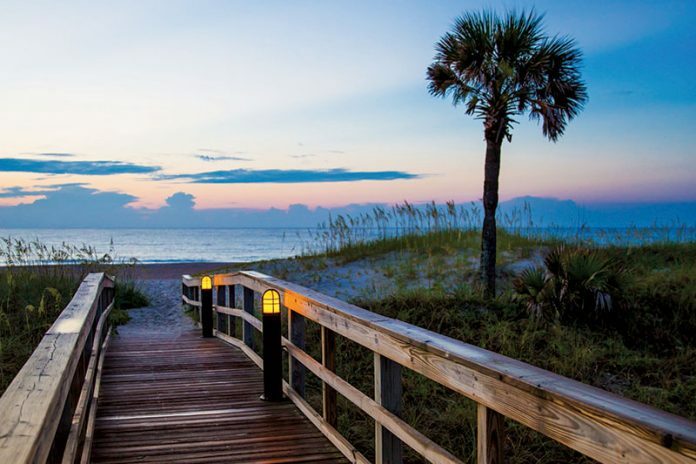 From fine dining to beach bars and small family-run restaurants that have been in business for decades, Amelia Island has something that’s sure to please everyone. If you’re asking for suggestions, grab a burger at Falcon’s Nest (seriously, one of the best burgers I’ve ever had), have lunch at Café Karibo, stop in for a bloody mary and enjoy the harbor views from the Salty Pelican, plan date night at Salt, and end with a nightcap at the newly-renovated Lobby Bar at The Ritz-Carlton, Amelia Island. The smoked old fashioned is a work of art! 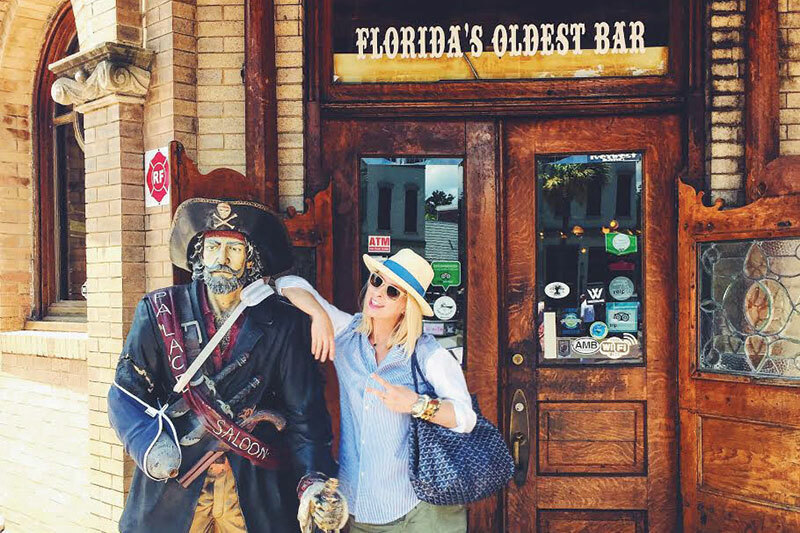 No trip to Amelia Island is complete without a drink at Florida’s oldest bar, the Palace. Cheers. 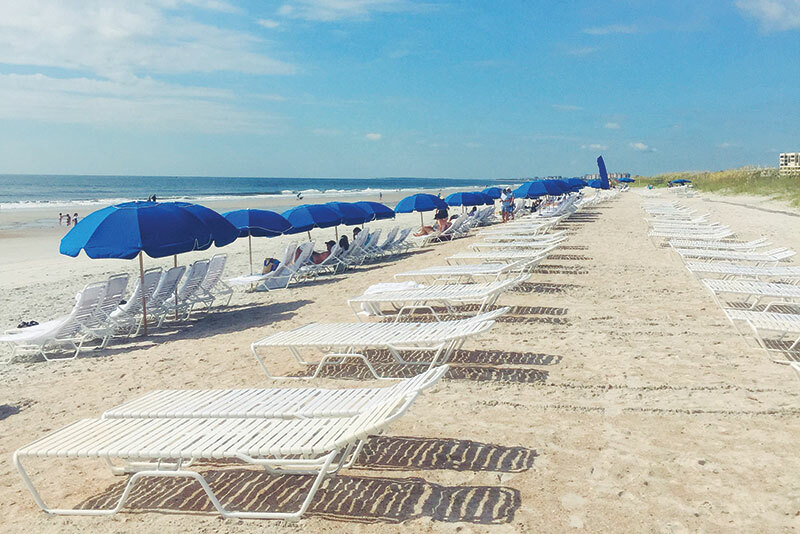 Whether you’re looking to relax and rest like me or planning to take the whole family on a vacation they’ll always remember, Amelia Island is easy to reach but hard to forget. 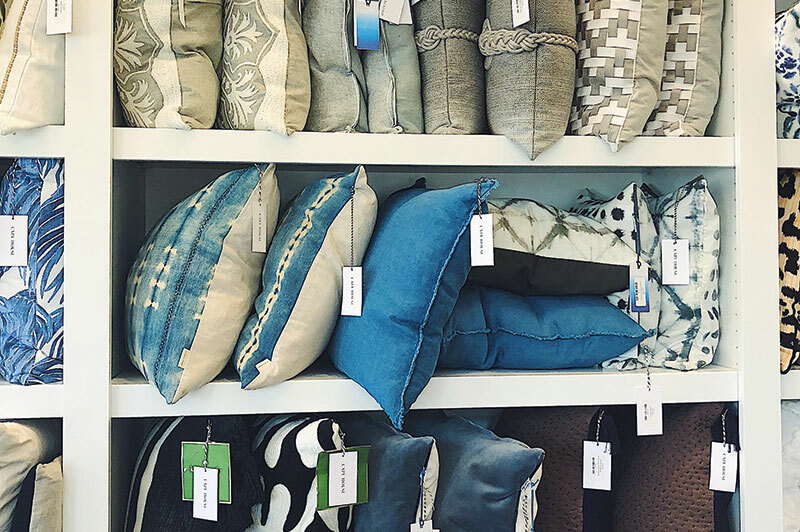 Founded by Fernandina Beach locals Tiffany and Wes Hinton and Lance and Lauren Jones, Cape House offers the most-gorgeous home goods and accessories. Plan your perfect Amelia Island escape at AmeliaIsland.com, and search #loveamelia. One of the main reasons I come to Amelia Island is to escape. Most days you’ll find me cozied up under an umbrella beachside with a good book in hand.